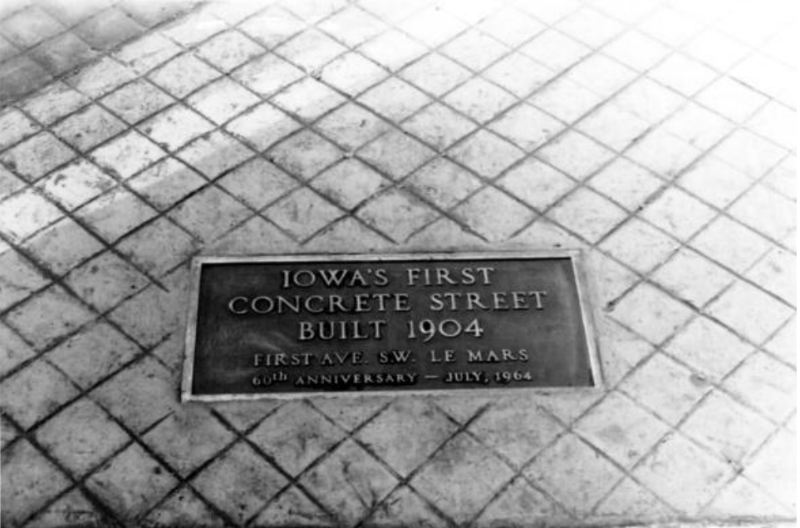 The first concrete pavement in Iowa was First Street or Eagle Street placed in Le Mars in 1904. The decision to pave the street was made to eliminate the dust and mud associated with the existing dirt roads. The 6.5 inch street was built in two lifts with the bottom 5 inches having less cement than the top lift. To prevent horses from slipping, 4 inch squares were placed into the 6 foot panels. 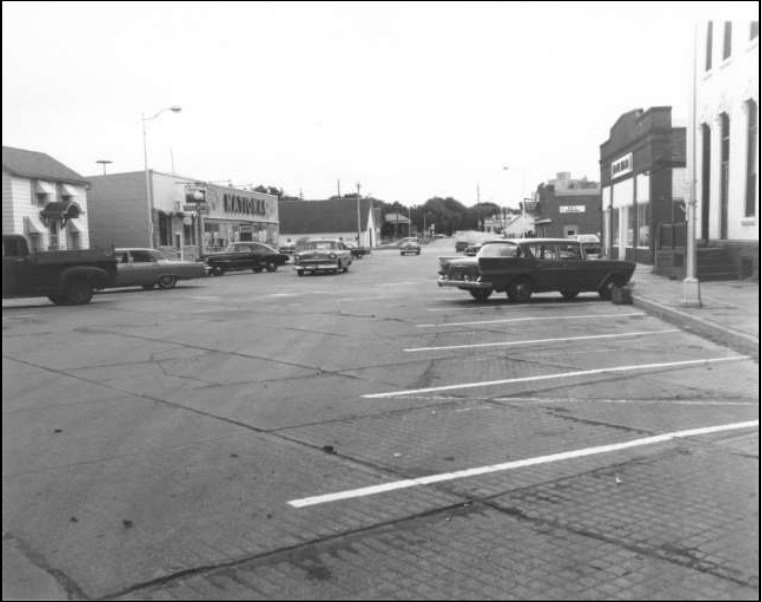 The pavement lasted until 1968.